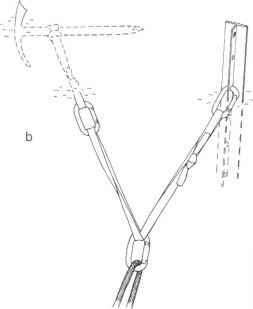 Properly fitted hinged crampons are adequate for most alpine ice climbing. 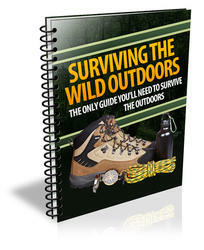 They work well with most types of climbing boots and are less expensive than rigid-frame designs. They should have medium-length points and require front points for ice climbing. Crampon points must be sharp, and the harder the ice, the sharper the points need to be. Check the points before each climb and sharpen them if they need it. The angle of the front points and of the first row of downward points is critical in determining the best penetration. For regular ice, the front points are shaped straight but bent slightly downward, and the first row is angled slightly forward (fig. 14- la). For waterfall ice, the front points are curved downward, and the ends of the first row are angled more forward than those used for regular ice (fig. 14-lb). Fig. 14-1. 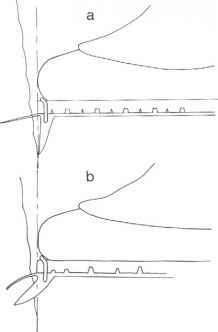 Angle of front points: a, for regular ice; b,for waterfall ice. just a single front point, which makes for easy placement (fig. 14-2). However, the single front point has more tendency to rotate than the normal double front points.